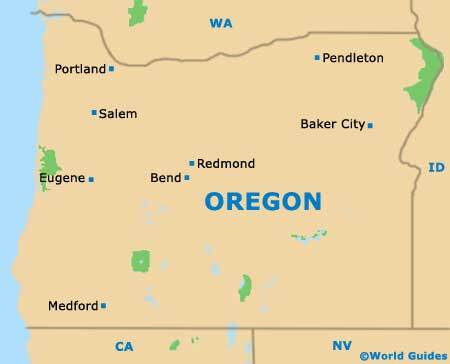 Located in the far northwestern corner of the state of Oregon, Portland is a sizable city lying alongside the meeting point of the Columbia River and the Willamette River. While Portland is the county seat (administrative center) for Multnomah County, its boundaries also fall within the counties of both Clackamas and Washington. 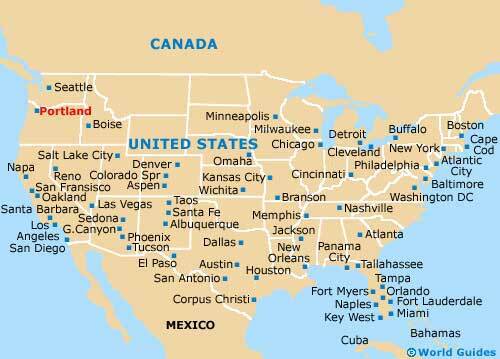 Various highways are based around Portland, such as the Banfield Expressway (I-84) and the War Veterans Memorial Freeway (I-205), as well as Interstates I-5 and I-405. This means that those armed with a map and wishing to head outside of the city will find good connections to suburb cities and towns, such as Gresham to the east and Beaverton to the west. 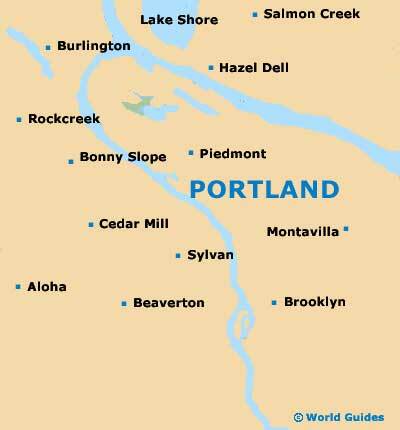 Much of the interest lies within downtown Portland, which is located on the southwestern side of the city. The Old Town is also filled with tourist appeal and can be found on the northwestern side of Portland, along with plentiful shopping opportunities and trendy eateries. If you are based in the city center and just looking to travel short distances, then the Portland Streetcar will certainly be worth considering, while for longer journeys, including trips to the airport, the Tri-Met MAX light rail system is on hand.